Joseph Mikolaj (MICK o lī) stars as Joseph in the FAC’s holiday blockbuster performance of Joseph and the Amazing Technicolor Dreamcoat. 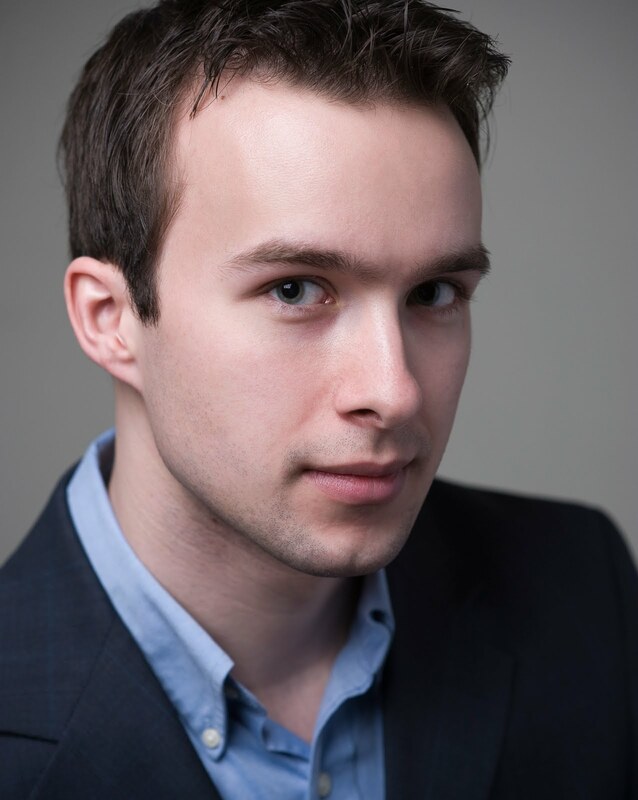 Mikolaj recently graduated from the Yale School of Music with a Masters Degree in Vocal Performance. His stage roles include Nanki-Poo in The Mikado, Frederick in Pirates of Penzance, and Goro in Madame Butterfly. This past April, Mikolaj took first prize at the New York Oratorio Society’s Lyndon Woodside Solo Competition as the youngest musician in the competition. Q. We’re thrilled to have you in this production! Where are you from? J.M. I’m from a small town near Houston, Texas. I sang in choir throughout school. Q. What brought you to Colorado Springs? J.M. My brother, who moved out here first. He was a dietician in the army, and now he’s finishing up his nursing degree. I finished grad school and I’d planned to move to NY and do the “Big Apple” thing, but I’d been in school all my life, and I wanted a break. I wanted to spend some time with my family. My brother said, “it’s beautiful here and I have an extra room!” and that’s all it took. Q. How did you get involved professionally in music? J.M. Even though I sang in my high school choir, I didn’t decide to be a music major until well into my college career. Right before sophomore year, I met up with high school friends from choir who were all music majors, and they were all having an awesome time. So I jumped right into vocal performance degree and found a phenomenal voice teacher in Houston. My voice teacher, Dr. Knapp, suggested Yale University for grad school. I had no idea when I applied about the level of competition-- the Yale School of Music only accepts one student per part, per year. Q. That’s amazing! How did your classical studies influence your approach to theatre? J.M. My Degree is in early music and concert singing. In the classical music world, I’m known as a lighter tenor, so early music made sense for my voice. Regardless of the era, there’s an innate drama to the music and to the words the music is set to. When you really delve into that, you don’t have to do anything else besides being moved by it. That doesn’t necessary hold for music theatre, but it deepens that relationship—looking for what is powerful and letting it move you. Q. What’s your favorite piece of music? J.M. Impossible to choose just one! Q. Ok then, what music do you hear in your head when you wake up in the morning? J.M. Depends on what I’m singing the night before. It’s different every morning. On the classical front, I’ve got a performing of Bach’s St. Matthew Passion coming up in Philadelphia, so I’ve been hearing that in my head a lot lately. I also find myself singing anything from Joseph. “Close Every Door” is a great song. Q.What do you like best about performing musical theatre? J.M. It’s so honest. Music theatre is an opportunity to live the best of two worlds. It’s so challenging as an artist, and it’s so fulfilling! You can’t hide behind anything—that’s what makes it raw and honest. Q. What do you like to do when you’re not working or performing? J.M. I absolutely love to read, especially now that I’m out of grad school and can read for fun. Being able to do that is wonderful! I also enjoy rock climbing and martial arts. Q. Do you have a favorite line from the show? Q. Who would win in a dance off, you or Donny Osmond? J.M. Donny Osmond! Hands down.